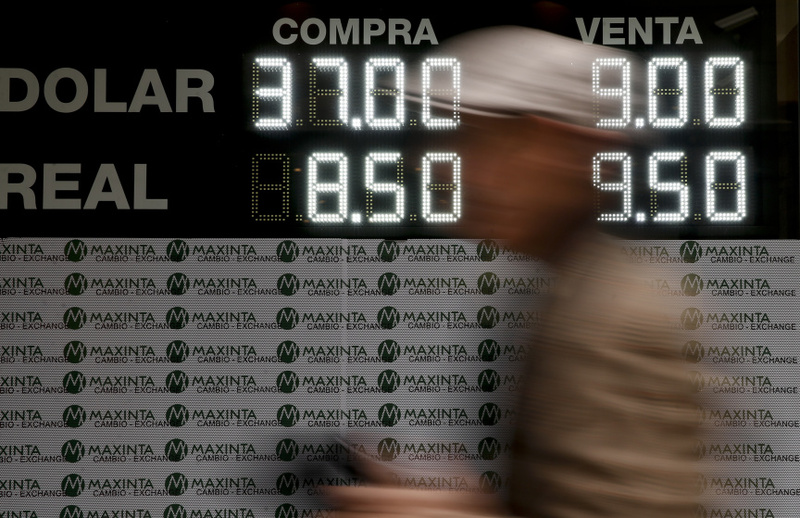 BUENOS AIRES, Argentina (AP) — Argentina's President Mauricio Macri announced new taxes on exports and the elimination of several ministries on Monday in a bid to halt economic turmoil that has sent the peso to record lows. Macri, a pro-business conservative who took office in 2015, promised to trim Argentina's fiscal deficit, reduce poverty and curb inflation, but has struggled under the weight of the country's economic problems. The government will now undertake a so-called 'deficit zero' plan intended to balance the budget in 2019 and staunch the currency's steep devaluation. At a press conference later in the morning, Argentina's Economy Minister Nicolas Dujovne said that a tax of four pesos (10 cents) would be levied for each dollar of primary exports and services, and an additional tax of three pesos (7 cents) would be put on other exports. Many Argentines have reacted with disdain to Macri's arrangement with the IMF, blaming the body for its role in the country's record debt default of more than $100 billion in December 2001. Cinthia Gotlib, a lawyer, said she didn't have faith in the latest announcements. "The truth is that every time he makes a speech, we end up worse off," she said. "The market goes crazy and the people despair because they don't know what to do, what to believe." "We are coming off the back of 12 years of utter destruction to this country and what we need right now is a serious path," he said. "I believe President Macri will take that path between now and 2023."